Supported (optional) by a growing number of customized database vendor specific modules SQL offeres the possibily to compare schemas. Hint: Both schemas will complete loading of all objects. In most cases one connection has not enough permissions to load metadata for both schemas. 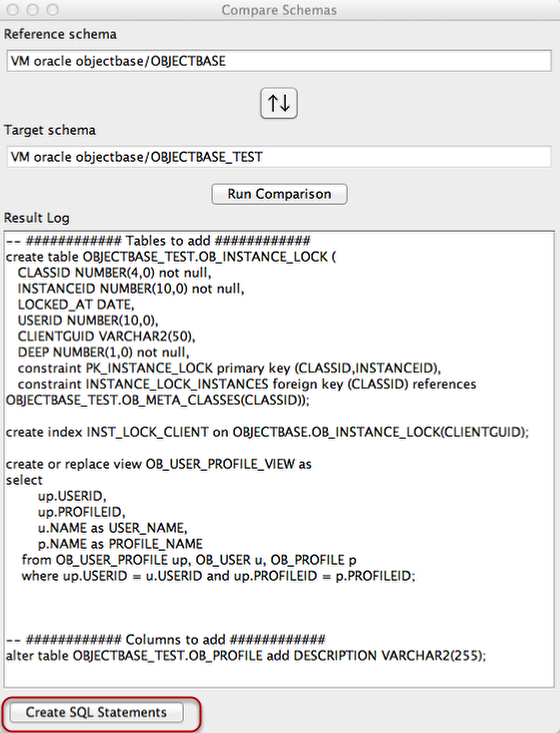 It can be neccessary to start a differenz connection (by opening a new window and connect to an other database) to have full read access to both schemas. In this case you find the second schema under a new connection node in the datamodel view. 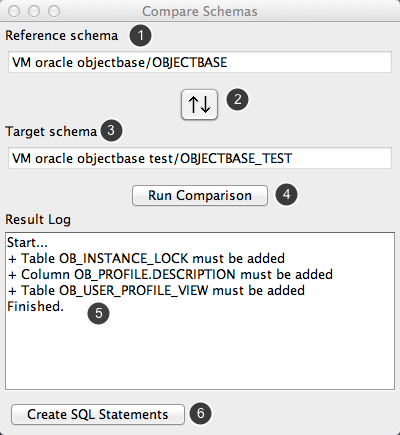 Dialog to run the comparison. 6. 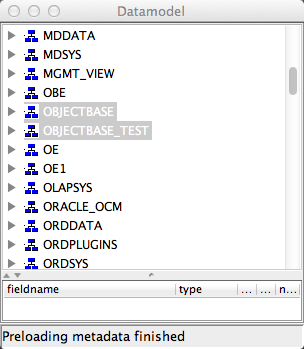 Create appropriated SQL statements to update the target schema. You can get the statements with copy & paste from the text area. Get this statements by selecting all text with CRTL+A (on a Mac use the Apple-Key for CTRL) and copy and paste it.